Compared to the other soaps we make, this 100% Coconut Oil soap range will always lather well in hard water. We add extra coconut oil into this soap to enhance the benefits of using this soap on your skin. 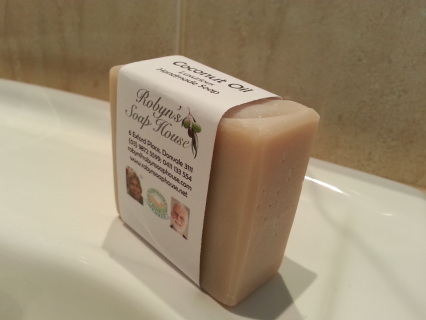 Enjoy the coconut scent in this 100% coconut oil soap. The wonderful Australian Lavender essential oil in this soap gives an added sense of luxury.and relaxation. 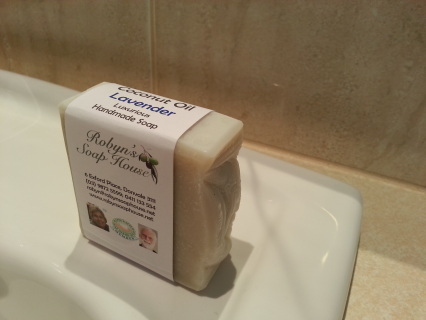 Ingredients: Saponified coconut oil, natural glycerine (which forms in the soap when it is made), Australian Lavender essential oil. Who can resist the fresh lemon scent created by combining Lemon Myrtle and Lemon Grass essential oils together. 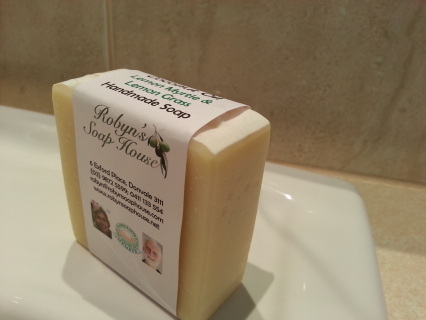 Ingredients: Saponified coconut oil, natural glycerine (which forms in the soap when it is made). Lemon Myrtle and Lemon Grass essential oils. For free postage within Australia simply spend $75.00 or more on soap purchases from this site. Free postage does not apply to the purchase of oils etc. under the heading "Supplies". Please note, due to the high cost of shipping, we do not sell to buyers outside Australia.